Yes, baseball coaches have enormous power. The power in you can make or break someone. As an adult leading young kids, you have the power in you to build kids up or tear kids down. And we know baseball provides plenty of stuff to complain about since more often than not bad things are bound to happen. New York Yankee great Derek Jeter just mentioned this spring at his retirement announcement about the difficulty of playing baseball well. Baseball is really, really hard to play well no matter what age level. 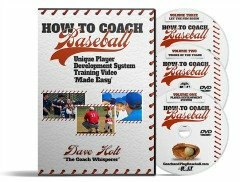 You can choose to use your power to nag on every mistake, complain and bellyache at the ballplayers or use your power to be a patient, teaching style leader using positive coaching techniques. The power in you permeates all facets of who we are. How do you use your power to treat your spouse? Do you look for anything and everything to complain and nag about? Or do you use your power to lead in a positive way and look for the good first? Has anyone ever said something to you that was like a dagger to you? Have you ever seen other people say something to someone else that you knew was hurtful? How do you use your power in you in raising your kids? Do you have employees that work for you? Or, customers in your business? How do you use your power in treating your friends and neighbors? The way you use the power in you is your choice. The consequences of how you use the power in you can affect the people close to you and around you. Often baseball coaches feel like they have a free license to yell and ridicule kids on the ballfield. Even baseball parents go along with coaches criticism of players because unfortunately this is how the baseball moms and dads perceive what a good coach is—one who yells and chews kids out after every mistake on the field. Look at the power in you in how you communicate, your tone of voice and your body language. You can build people up or tear them down. Don’t forget to use the pre-game as an additional mini-practice. You have about an hour to get plenty of work in. Many youth baseball teams and travel ball teams rarely have baseball practice. One reason is it is hard to put on a good, fun, learning style practice. 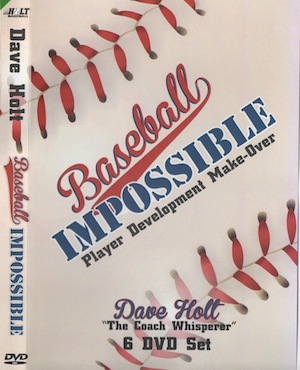 Most baseball dad coaches have little if any background in putting on a baseball practice—much less one that the kids want to come to and improve their skills. Do a little homework to better your baseball practice planning. Are You Angry When You Coach or Watch? Dr. Andrews is interviewed about the 5 risk factors that lead to the Tommy John surgery which he is the pioneer of. Please listen to what he says are the biggest causes to pitching injuries and he is more and more younger players being injured. HAPPY EASTER! Let me know what you think.